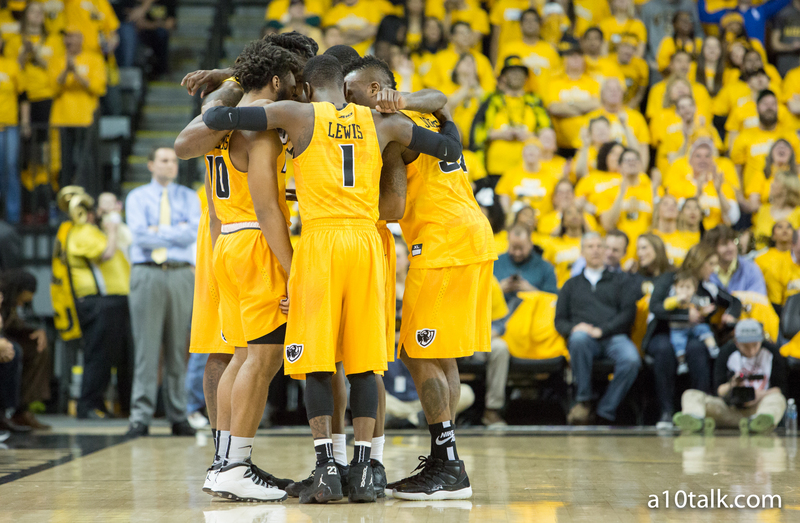 VCU was no lock for the NCAA Tournament prior to losing to George Mason on Tuesday night, though the Rams were pretty solidly in the field according to various sources. Different Bracketology sites had the Rams in the tourney as high as a 9 seed and as low as an 11 seed. It looked as if, barring a horrible loss or two, the Rams would more than likely make the Big Dance regardless of whether or not they won the A-10 Tournament. Of course, that was barring a bad loss. After losing 69-76 to George Mason (a team that’s ranked 200th overall by Kenpom) the Rams are anything but a lock for the NCAA Tournament. George Mason is just 10-18 overall and hasn’t shown much promise at all this season. The Patriots used their front line to take down the Rams and hand them a loss that they couldn’t afford. Now that VCU has dropped very winnable games to George Mason and Massachusetts, it’s sitting closer and closer to the bubble. A lot of people assumed that the Rams would automatically be out of the field after losing this game, but that might not be the case after all. Though CBS and USA Today both have the Rams as a “First Four Out” team after their loss, ESPN’s latest Bracketology by Joe Lunardi still has VCU in the tourney as a 10 seed. The Rams remain one of Joe’s “Last Four Byes” but still remain a few spots from falling out of the field. This discrepancy is interesting. There’s a 7-8 slot difference in the way ESPN ranks the Rams verses CBS and USA Today. Joe Lunardi tends to be the go-to Bracketologist given his success in recent years, so the fact that he has VCU still firmly “in” is something that Ram fans can be hopeful about. That being said, there’s something to be said about two other sources having the Rams on the wrong side of the bubble. If the season ended today, I’d be interested to see who is right. Regardless of where the Rams fall in the rankings, there’s a lot of important basketball that VCU still has left to play. For one, the Rams have to go on the road to take on George Washington this weekend; that’s never an easy task. They’ll return home to take on Davidson next week before going on the road to do battle with the Dayton Flyers. There’s no easy way out for VCU moving forward. The Rams have 3 very tough games remaining in the regular season, and if they don’t find a way to win at least 2 of them, all of the Bracketology sites are going to have the Rams outside of the tourney field. The bottom line is that VCU’s loss to George Mason certainly didn’t set anything in stone in terms of the Rams’ tourney hopes; all it did was make this thing a whole lot more interesting. With a difficult finish to the season, the Rams have to be ready to compete night-in and night-out to prove their worth to the Selection Committee. Otherwise, it’s going to be Brooklyn or bust for VCU.